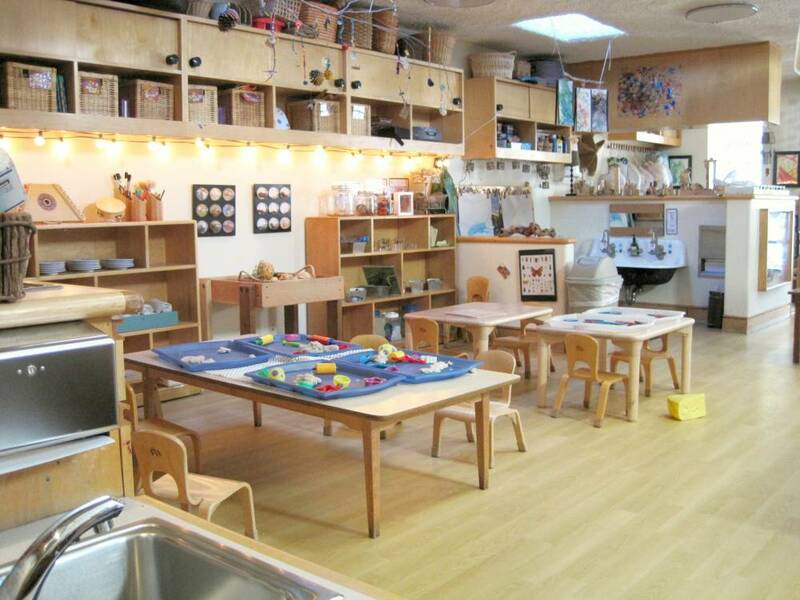 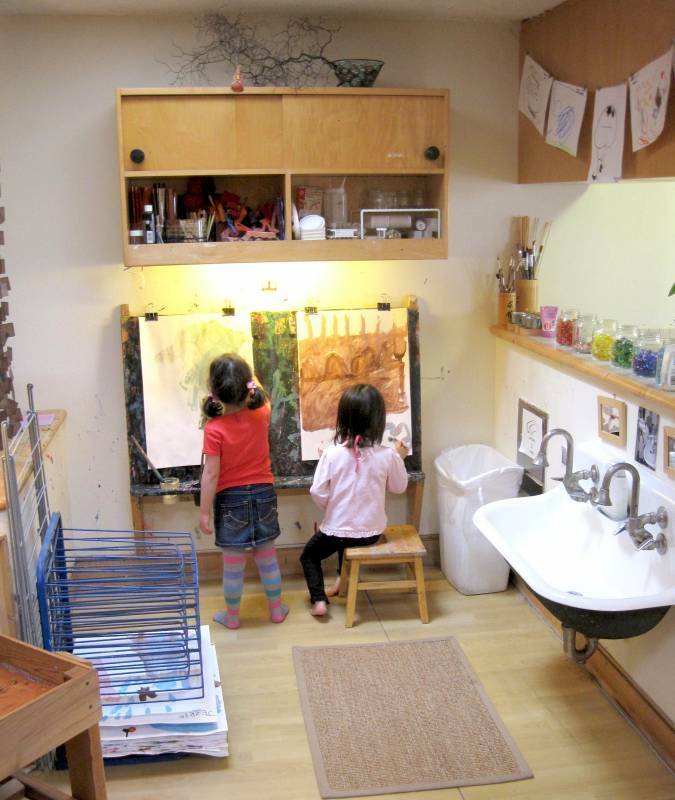 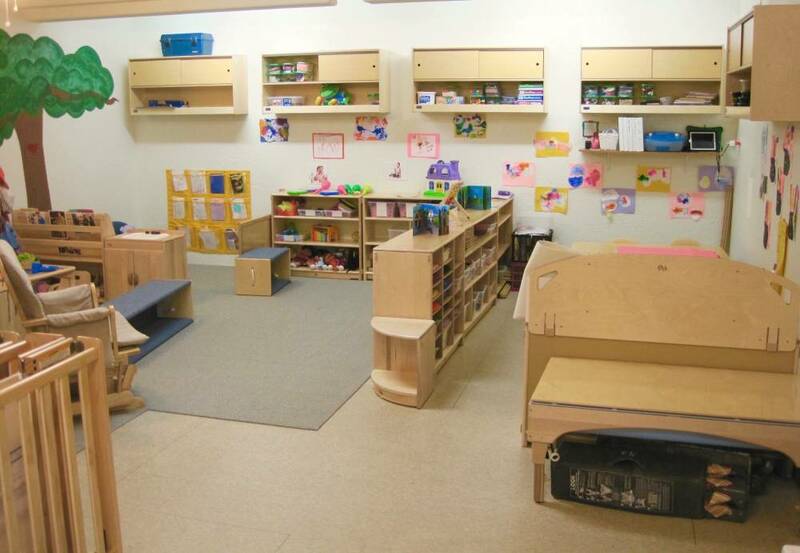 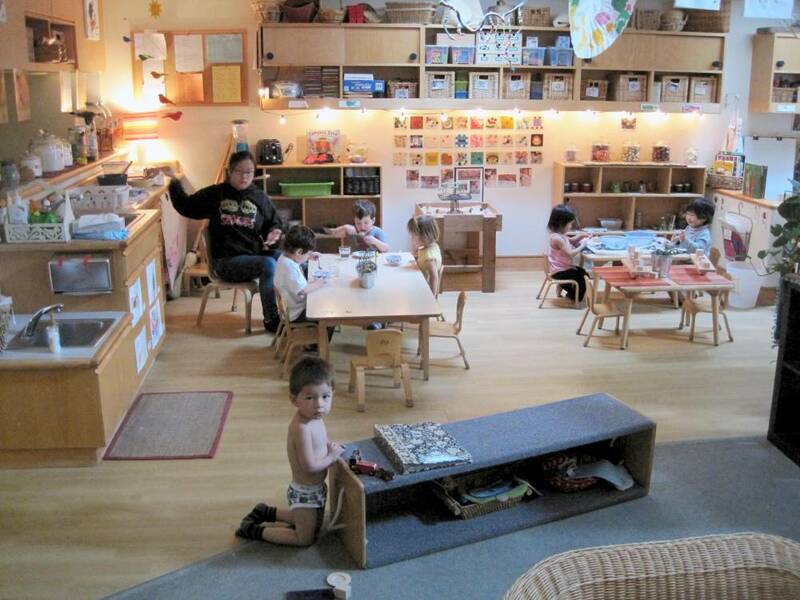 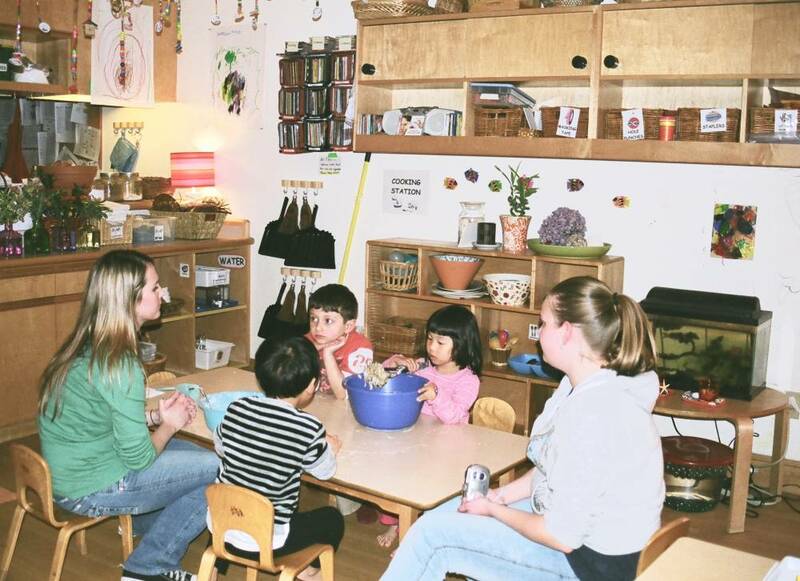 Creating developmentally appropriate spaces that nurture children’s growth, that are convenient, and a pleasure for children to use. 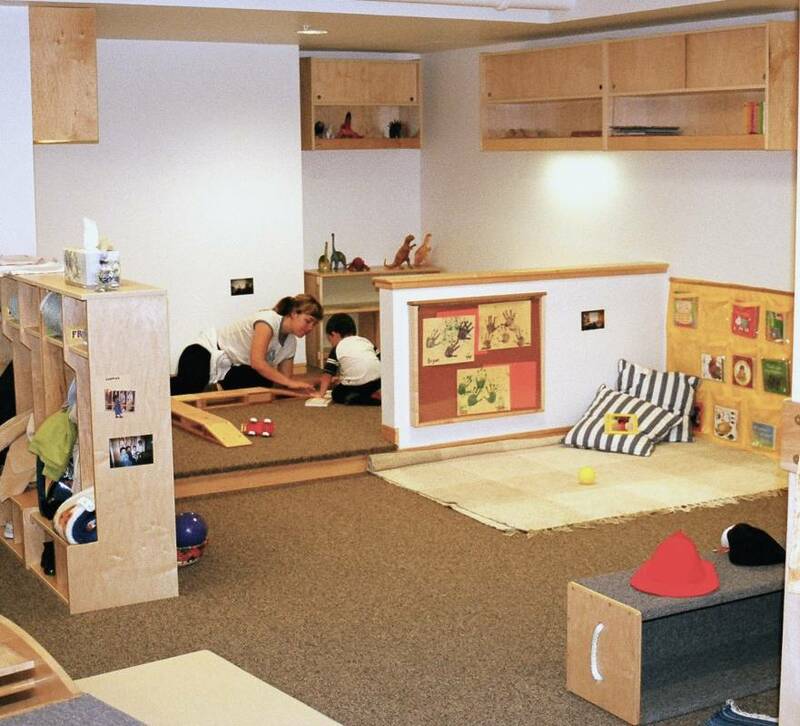 Place multiple wall storage cabinets above each activity area. Allows you to change and add materials without leaving the children and without taking up the children’s play area.